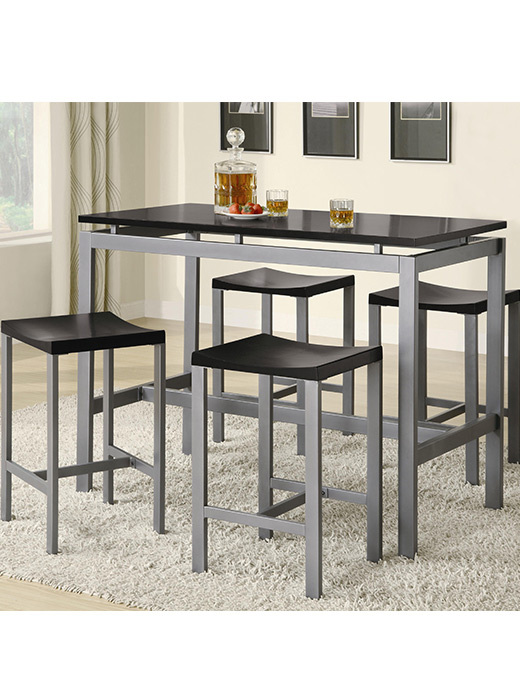 You can have a table that marries utility and beauty perfectly with this counter height table and chair set. Finish & Paint Options Finish options include matte silver metal, warm brown metal, and black metal with gold accent. Case Detail Straight legs, clean lines, smooth straight edges. 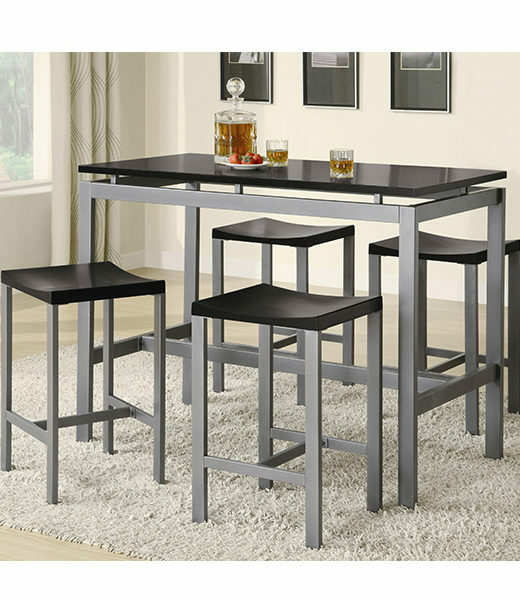 Description: Top Table tops are Black, marble-look or medium brown Birch veneer. Case Construction Matte finish metal frames.